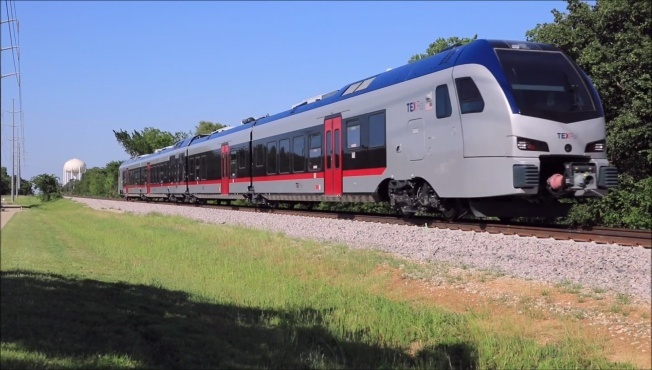 The new rail line known as TEXRail from downtown Fort Worth to DFW International Airport carried 131,580 riders in its first two months – an average of 2,600 people a day, officials said. The figures cover January and February. The line started Jan. 10. "You can already see we've had great success in ridership," said Fort Worth city council member Carlos Flores, whose Northside district includes one of the stops. Many drivers have decided to park their cars to commute downtown on TEXRail instead. "When I heard they were doing a TexRail, I was so excited," said Kendall Hunt of Keller, who now commutes every day to her job at an investment firm. "You don't have to deal with road rage, looking for parking space," she said. "Totally worth it." Flores said city leaders are in early discussions about expanding the line. "There are connections in the south we've been talking about and also the medical district," he said. "The medical district has a very unique type of working population." The big hurdle, Flores said, is how to pay for it. "Funding is the question and the answer," he said. The train costs $2.50 per ride with discounts available for children, seniors, and people with disabilities. It includes stops in North Fort Worth, North Richland Hills, Grapevine, and DFW Airport.